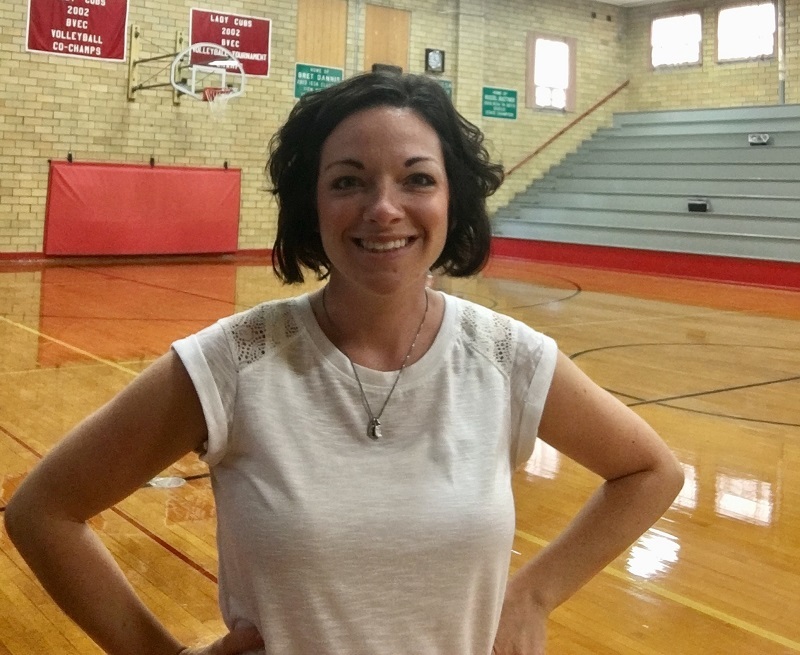 This week for the Featured PE Teacher section on the PE Central Facebook page, the spotlight is on Julia Stevens! I teach grades K-5 at Willamette Primary in West Linn, Oregon. I have 587 fantastic students in the West Linn-Wilsonville School District. 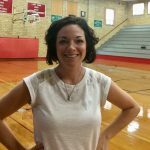 I am a Physical Education and Wellness Specialist – teaching both physical education skills in addition to integrating health literacy within my curriculum. I am the only PE/Wellness teacher at Willamette Primary! I have been teaching 6 years total. This is my 4th year at Willamette Primary. I love my school and I love my community. I just completed my Rhythmic movement unit, prepping students to perform various complex dances that integrate different relevant cultures and themes. 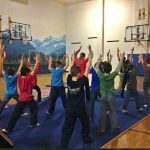 I create the choreography well before the big show, then teach students during their classes in addition to prepping them with other tools and skills they may need prior to the performances (mindfulness, cooperative skills, team building activities, visualization techniques, etc). These dances are incredibly challenging and involve 2-3 different classes cooperating together to successfully perform for two shows. I also team up with our amazing Music teacher who helps students learn basic dance steps that they may use later on in life (grapevine, box step, line dancing basics, etc). In addition, I take the time to discuss the cultural relevance behind the dances. One example includes the Bollywood dance we performed with my 3rd graders this year. We discussed the Bollywood style demonstrated within Indian culture, watching and dancing a few different types of popular dances throughout the history of Bollywood. We also performed a “remix” of Miriam Makeba’s “Pata Pata” to show our appreciation of the South African culture, but with a modern twist. I feel that it is important to integrate music and dances from around the world and in different languages to show our community how dance is expressed in other cultures. When I choose these dances I take into consideration the personality and unique needs of my students. My first priority is to make sure that the music is a good fit for the students! Many of these dances are fantastic forms of moderate to vigorous forms of physical activity. We danced the “Interlude” dance this year with two other 3rd grade classes who have a TON of energy. 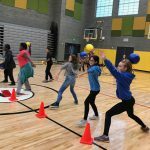 A couple of students in these classes have trouble demonstrating complex locomotor dance moves, either due to developmental or other challenges. I chose this dance because I knew they had so much energy and could successfully master these 6 dance moves. Of course, they did a phenomenal job during both performances and I am so proud of their hard work. As you may have guessed, teaching dance is one of my favorite units. Our school has this unique culture where all students (and teachers!) dance for this program. Both boys and girls of various ages, cultures and backgrounds are genuinely excited about our yearly Rhythms Program. They work so hard and always seem to exceed my expectations as they are passionate and in love with movement and being physically active. 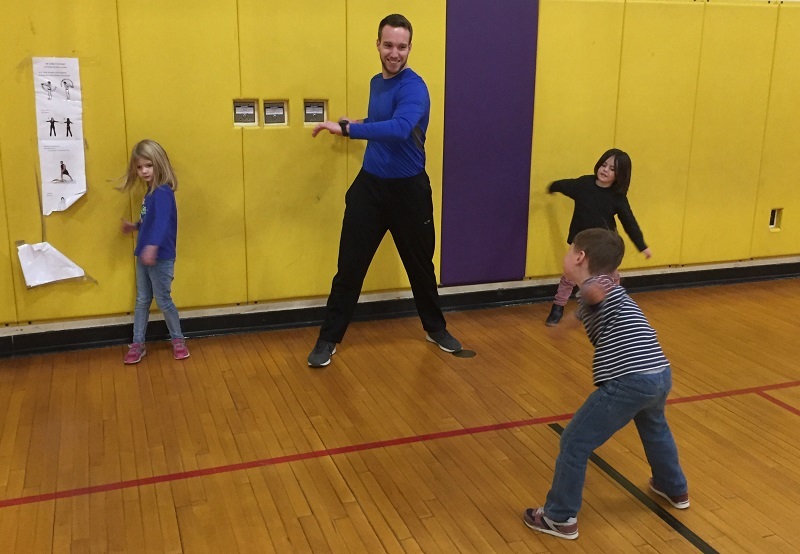 I focus on helping students grow their love of physical activity and movement. I encourage students to practice a growth mindset in learning new and challenging forms of activities, especially if it can help them stay physically active later on in life. I also integrate a lot of content that they are passionate about, including Pokemon, Minecraft, Super Heroes and Star Wars just to name a few. Thanks to the PE Central community, I have found so many awesome resources that have helped me continue to integrate such awesome content in my lessons. Visit our Youtube channel for videos on our Rhythms Program and other activities! 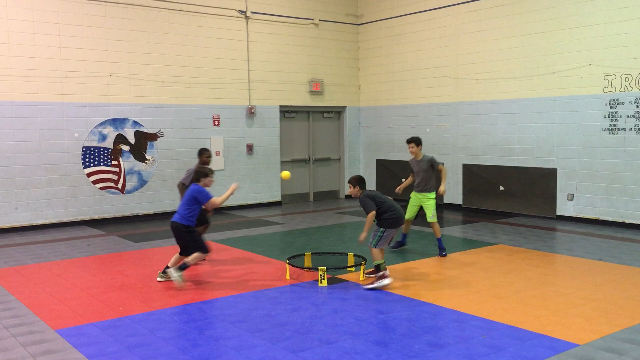 This entry was posted in Featured PE Teacher, PE Central and tagged dance, featured pe teacher, Julia Stevens, PE Central, pe class, pe teacher, physed, physical activity, Physical Education, wellness by S&S Worldwide. Bookmark the permalink.